What’s the cheapest way to see the Statue of Liberty? Take a free boat ride? 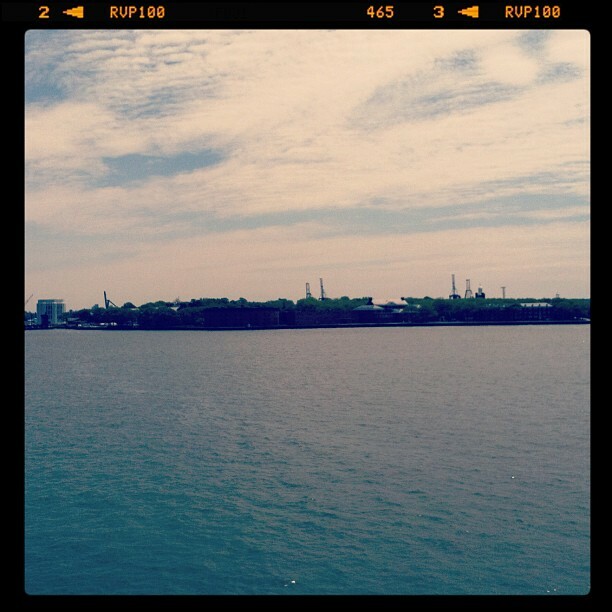 Visit the lovely Staten Island? 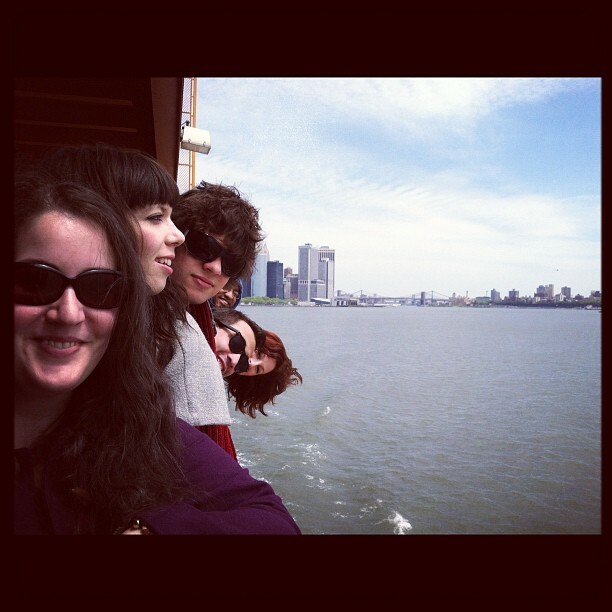 That’s right, we did the ultimate tourist/commuter trip possible…rode the Staten Island Ferry. If you take the 1 Train all the way to the end, South Ferry, you actually do end up at a ferry terminal. We managed to catch the ferry just as it was about to take off. Hundreds of people flooded onto the boat. Luckily, our group found a prime spot along the outside rail. The picture above is the view of the terminal as the boat set off to sail. 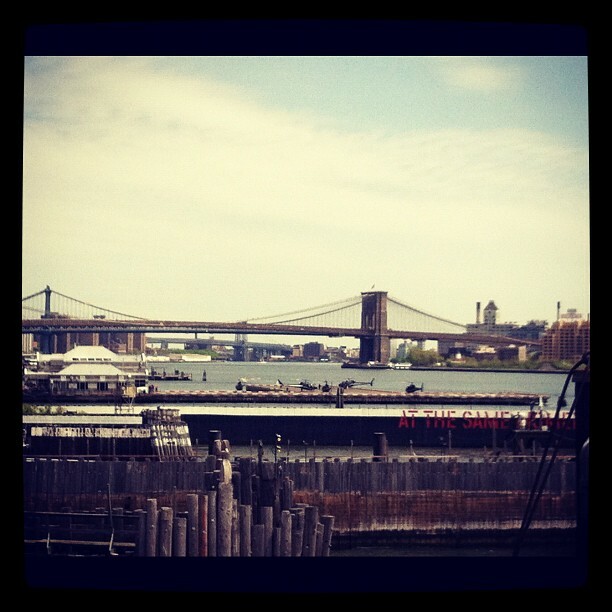 Here is the lovely Brooklyn bridge. Also, if you have tons of money, you can take a helicopter tour of New York. It was pretty exciting to watch them take off. One of the islands we passed is Governor’s Island. Only open in the summer, the island is now a park. There are huge grassy lawns, food vendors, old houses to tour. It is a really lovely place to visit. I went last summer for a poetry festival. 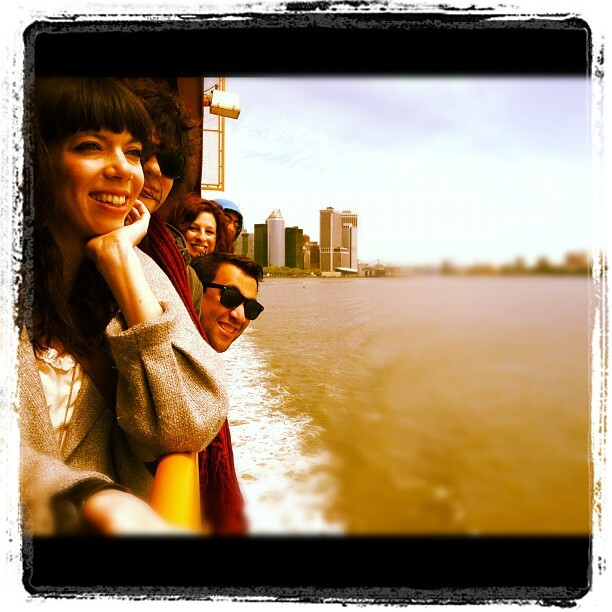 Everyone is enjoying their free ferry ride. Luckily, I did not drop my camera in the water. Downtown Manhattan is in the background. 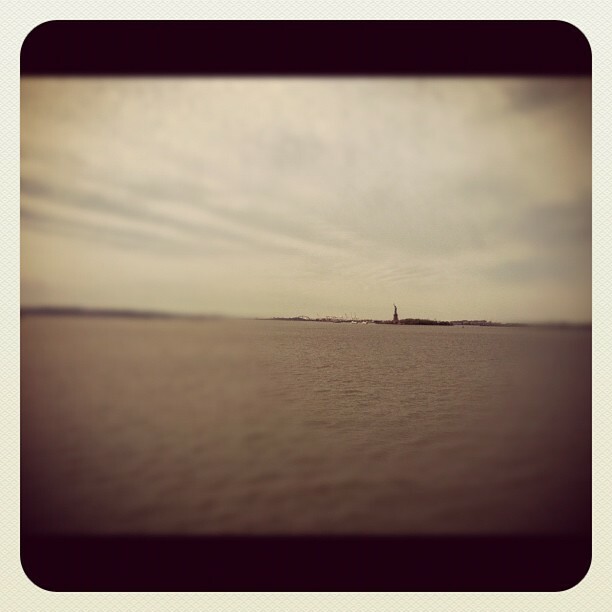 There she is…Lady Liberty. The ferry actually passes pretty close by, and it is an amazing sight. Totally tourist, but that’s ok. 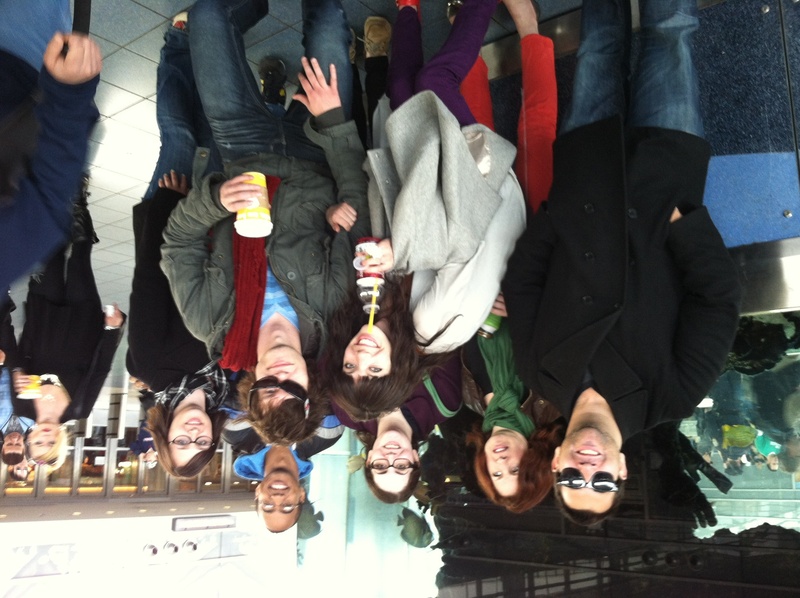 Here we all are in the Staten Island ferry terminal on Staten Island. We spent all of 10 minuets searching for Little Sri Lanka before giving up and wanted to head back to the City. I found a soft pretzel for a snack so that kept me happy. About the only interesting thing in the terminal was the tanks of fish. Also the fact that they have some sort of train system out there. 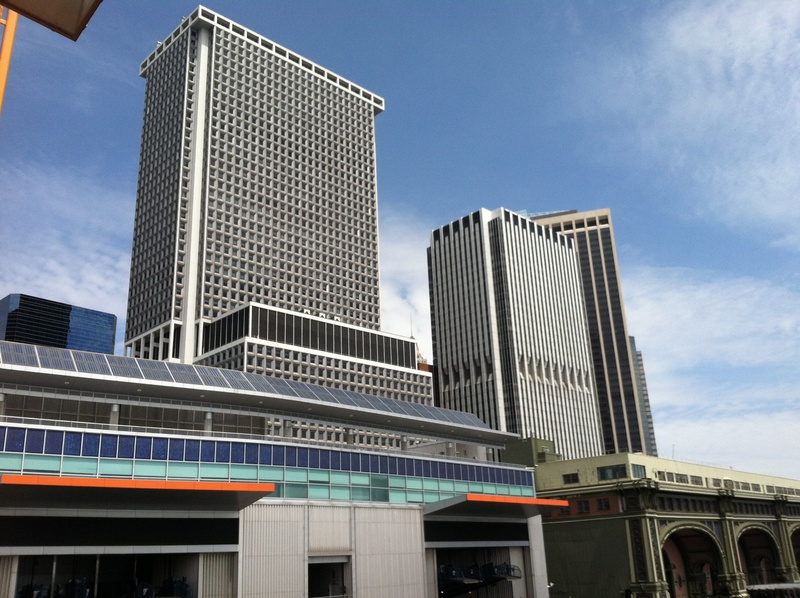 If you are looking for a fun and free way to check out some great views around New York, ride the Staten Island Ferry.